Yoav brings over 25 years of experience providing successful financial and operating leadership. He is an innovative negotiator and dealmaker, with proven ability to uncover and implement unique and workable solutions for challenging business situations. Yoav has a special combination of Fortune 500, public mid-size company, consulting and start-up experience in Mergers & Acquisitions, Negotiation, Strategic Planning, International Finance, Restructuring, Business Development, Team Building, and Business Analysis & Management. Yoav co-founded NYC Advisors, LLC in 2003. Since then, Yoav has served as CEO of a plastic lumber company; as CFO & COO of a publicly held medical device company, and as a consultant, mentor and business advisor to numerous other companies. Prior to co-founding NYC Advisors, Yoav was the CEO of Casa Mayo LLC, a direct marketing organization he co-founded. 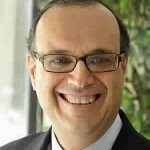 Yoav was also the COO of a technology incubator, where he led 10 investments and private placements from evaluation to closing, advised CEOs of portfolio companies on financial and operational issues, and served as the Chairman of the Board of a publicly held software company, leading a successful turnaround. Prior to that, Yoav was the CFO of several publicly held companies, and he spent over 8 years as a controller at Citibank Investment Bank, and as Vice President at Bankers Trust, at its GOIS and Investment Bank divisions. Yoav is a partner and a board member at Stark Business Solutions, Inc., Mentor & Member of Baruch College Executive on Campus Advisory Committee and a former board member of the American Red Cross Metro NY North. Yoav holds a BBA and MBA in Finance from Baruch College In New York.